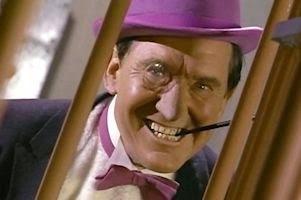 Additionally, I don't think the Penguin of the main Toobworld shared the same real name as in the comic books or in 'Gotham'. 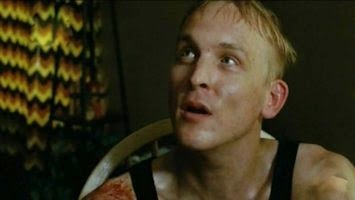 I think his alias of "Penguin" grew out of his real name as much as from his looks. It was a name the 1966 'Batman' treated as an alias: P. N. Gwynne. 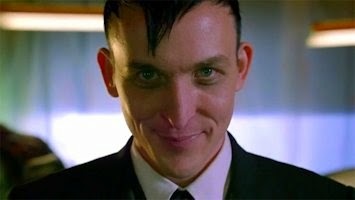 But the Penguin of 'Gotham' does have counterparts in other Toobworlds of the TV Multiverse and one of them could be found in Zombie Toobworld. At least until this year's season premiere of 'The Walking Dead'. In this doomed Toobworld, he was known as Sam and I think we could make the argument that this Oswald Kapelput wasn't too keen on his first name either. "Sam" would make for an acceptable nickname; everybody likes a Sam. This is the type of sitcom NBC might have parked in the 8:30 berth during their halcyon "Must See TV" Thursdays, between 'Friends' and 'Seinfeld'. Like the other shows they tried there, it would not have been up to snuff in comparison to the shows buffering it, but I think it would have done better than others (like 'Union Square' and 'Madman Of The People'). This slight romcom has plenty of cache with me because I like Ben Feldman and Cristin Milioti so much from their earlier series, and they fit comfortably together. 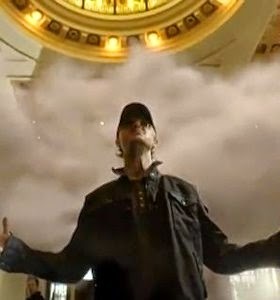 I enjoyed the first episode, but I don't think this is as universal a viewpoint as the powers that be are hoping for. I just didn't feel like it was made for me. I still have the second episode in the queue, but I have no clue when I'll get to it - which doesn't say much for it making my permanent collection of shows to record. I wish it well though. It's part of Earth Prime-Time and could conceivably continue without any help from ye olde Monitaur. I checked out the pilot just to fulfill my televisiological O'Bligations, but I trust the opinions of some of my favorite online TV critics and of course they were right. It's a bit of a knuckle-dragger in its presentation - that whole "Wow! She's a cop and she takes care of her family!" attitude. I only made it through the first fifteen minutes of this and it felt like the full half hour. It was lowest common denominator comedy with a main character who just wasn't that compelling. But to steal one of the best historical jokes ever (even if it may be apocryphal) and then play it to the back benches with an air of braggadaccio as though they came up with it first, I knew I had to bail. I'm just glad Sam McMurray showed up before I deleted the recording, but the material was beneath him. When I was a kid, I didn't read many comic books (just couldn't afford them), but when I could find the dimes to do so, I'd always get the latest copy of "The Flash". Sure, I loved the look and the powers of the Scarlet Speedster, but I was more fascinated by the members of his Rogues' Gallery - those costumed no-goodniks that bedevilled Barry Allen's hometown. Thanks to casting notices being considered hard news, we know that we'll be getting Captain Cold and Heat Wave in upcoming episodes. 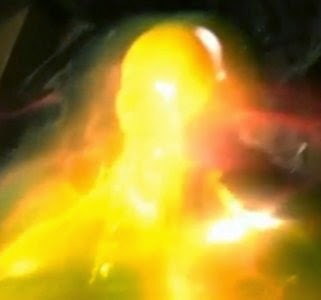 The pilot also had hints of Professor Zoom, aka the Reverse-Flash, all over the episode. So we can probably look for that storyline to be explored in depth as time goes by. The producers of the show should remember Chekov's rule about the gun - if you show a gun in the first act, you damn well better use it by the third. 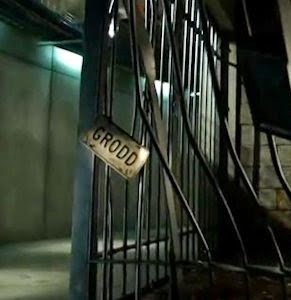 I bring this up because of that shot of the damaged cage at STAR Labs with the ID plate for "Grodd". Maybe we won't get the same backstory as in the comics (Gorilla City? I doubt we could find it in the main Toobworld! ), but we damn well better get Gorilla Grodd in before the season ends! I have one "wish-craft" - I want to see Captain Boomerang on the show. And even better, wearing that ridiculous costume as seen above. Sure he was a hokey villain, but my nostalgia meter kicks into overdrive thinking about those days reading about his battles with the Flash. 'Gotham' already exists in that world, since - for better or for worse - the 1966 campfest of 'Batman' already occupies Earth Prime-Time. And since Batman is already cited in so many other shows as exiting/having existed, there's no way a show about life before the Batman could share the same universe as those other TV series. 'Gotham' airs on Fox, while 'The Flash' is on the CW, so there's no way they could ever cross over. 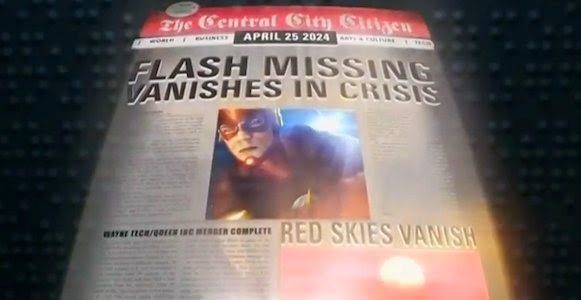 But at the very end of the debut episode, we caught a glimpse of a newspaper from ten years into the Future, which has a headline about a proposed merger between the Wayne Foundation and Queen Industries. And this suggests that 'Gotham' and 'Arrow' - the series which helped launch 'The Flash' - share the same dimension. Even though I can't use this for the main Toobworld, it looks to be a fun show to follow. One bit o' trivia I did like - the TV channel that was seen for later news reports was 52 - the umbrella title for the latest streamlining revamp of the DC comics line. The power and influence of Senator Creston Collins began to diminish in January of 1969 when his behavior on the Senate committee vetting Glenn Howard for an important post in the government was seen for what it truly was - a hateful attempt to tarnish Glenn Howard's reputation and integrity. It was never stated in the episode, but I believe Senator Collins represented the good people of Maine. (And there's just something about him that gives off that G.O.P. feel.) A first name of "Creston" smacks of old money and a distinguished lineage that could probably be traced back to the Mayflower. The Collins Family of Maine has deep roots, especially in the seaside community of their ancestral home, Collinsport. For the most part, members of the Collins family have been pillars of society. But it was not always so. 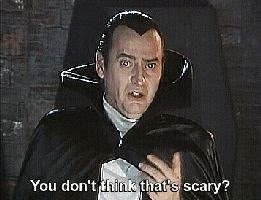 How could it be, when the family can count witches, warlocks, ghosts, zombies, a werewolf and at least one vampire among the ranks? TUESDAY NEWS DAY: THE AMERICANIZED "AKTA MANNISKOR"
When Microsoft abandoned its plans for streaming TV, one of the potential shows that was orphaned was 'Humans' which was based on a Swedish series called 'Akta Manniskor'. The story takes place in Sweden present time in a parallel universe, where the use of consumer-level androids is commonplace. The androids, known as hubots, are used as servants, workers, and company. While some people embrace this new technology, others are frightened by what can happen when humans are replaced as workers, company, parents, and even lovers. A moderate political movement against the spread of hubots calls itself "real humans", with some members using the derogatory term "Pacmans" to refer to hubots. Specific models are designed for various roles, each with different features. Hubots are usually programmed to recognise and obey their owner and can learn skills and pick up knowledge through observation of humans. Hubots have become common in many workplaces, especially for repetitive tasks, and have replaced human workers there. Though they are designed to look like humans in every way, hubots are usually easy to recognise as they have bright flawless skin, glossy hair and unnaturally bright (usually very blue or very green) eyes. All Hubots also have a USB-like port in the back of their neck which is used for programming and data. The button to activate or de-power a hubot is located under the left armpit, as is a standard wall plug cord for recharging purposes. Hubots require only electricity to survive and must recharge regularly, during which they enter a sleep-like state. Their skin feels similar to human skin and is kept at body temperature but beneath the skin, they have metal components and contain a blue fluid/lubricant known as HubFluid. Hubots are designed to be docile and obedient and are programmed with a set of rules called "Asimov" protocols that prevent them harming humans. However, some hubots have been modified beyond the legal protocols to make them better lovers or as bodyguards. Such practises are illegal in Sweden and those who modify the programming of the hubots are known as "home-brewers". A small, low-funded branch of the police is set up to investigate hubot related crimes, known as E-HURB. Hubot-human sexual activity is taboo but not uncommon and many hubots are programmed for limited sexual activity. Those who pursue sexual relationships with hubots are derisively called "Hubbies". Further to this, some hubots (those reprogrammed by hubot creator David Eischer) seem to have started to develop feelings, desires and their own goals as their programming has allowed them to develop free will and independence from humans. However, they are still often naïve and unworldly and sometimes fail to understand the nuances of complex human behaviour. There are such "replicants" on Earth Prime-Time, but they are a mere handful and hiding their presence from the Toobworld at large. 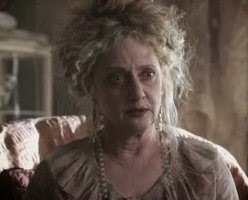 Jana Loren ('Twilight Zone' - "The Lateness Of The Hour"), Questor ("The Questor Tapes"), Hymie ('Get Smart') and "The Man" ("Project Tin Man") are just a few of such characters who are blending in as best they can. LITTLE BIG SCREEN - KNEEL BEFORE ZOD! will kneel like Superman before Zod." It's long been established in the Toobworld Dynamic that after Superman's death in the early 1960s, all of the details of his life - as both Superman and as Clark Kent - were revealed in a tell-all biography by Jimmy Olsen, Superman's "pal". The official version of Superman's life in Toobworld will always be the George Reeves series 'The Adventures Of Superman'. Unfortunately, the show never got beyond the Krypton/Smallville origin story for the Man of Steel and never featured any of the villains from the comic books of that era. Toobworld Central has speculated in the past about who would have played those villains had they appeared on the TV show - RG Armstrong as Lex Luthor, Michael Ansara as Brainiac, Billy Barty as Mr. Mxyzptlk. But I never thought to include General Zod, mainly because his first appearance in the comic books came in 1961. However, now we know he definitely existed in Earth Prime-Time back in the 1950s, although his confrontations with Superman were never seen on the screen. Since Jared Bash never referenced the movies or the comic books, Toobworld Central will always take the position that he was talking about an actual person within the "reality" of Earth Prime-Time. And so General Zod did exist in the TV Universe. As I mentioned, 'The Adventures Of Superman' really dropped the ball when it came to depicting characters from the comic books. I mean, there's only so many times you can watch a different Ben Welden character throw his empty gun at the Last Son Of Krypton! 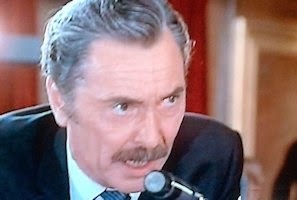 An appearance by Zod would have made for a welcome change of pace. But who would play General Dru-Zod? 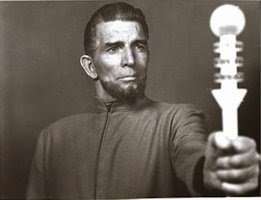 Keeping it within the timeline of the Trueniverse because we're dealing with actual actors, my Number One choice would be Michael Rennie, best known in Toobworld for playing the televersion of Harry Lyme from "The Third Man". And I think the look he would sport nearly a decade later on 'Lost In Space' would be perfect for the Kryptonian warlord. What do you think? Do you have any other actors in mind from that time period who might have been better as Zod? Let me know! LET'S DO THE CARLTON AGAIN!